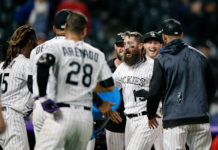 The 2019 season was supposed to be the year the Colorado Rockies made strides towards contending for a World Series title. While the Rockies are less than 20 games into the regular season, their dreadful start to the year is turning preseason optimism into early season panic. Things started off in the right direction for Colorado as the club won each of their first two games of the season versus the Miami Marlins backed by solid outings from Kyle Freeland and German Marquez. The Rockies’ offense tallied 12 runs in the opening wins and all seemed well for the club. However, things quickly unraveled for the Rockies as they went on to split the series with Miami, drop two of three in Tampa and lose five consecutive games at home before hitting the road for what is now a pivotal six-game swing in California against the San Francisco Giants and San Diego Padres. When the Rockies return from the road they will be just shy of 20 games played this season and their identity will begin to mold for the year. Colorado opened up their road trip with a disheartening 1-0 loss to the Giants, wasting away what was a strong performance from starting pitcher Jon Gray. Now sitting with a 3-10 record, the Rockies have tied the 2005 team for the worst start in club history. For context, that Rockies club finished with a record of 67-95. Gray hurled 6.2 innings, allowing one run on five hits while striking out six batters. The 27-year-old has been up and down in three seasons at the major league level, but Thursday’s start was one of the best of his career and was spoiled due to the continued lack of production from Colorado’s offense. As it stands, the Rockies offense is one of the worst in the National League. Colorado’s offense ranks 13th in runs scored (38), 13th in batting average (.216), 13th in RBI’s (37) and 12th in hits (86) amongst 15 NL teams. Additionally, the Rockies have scored one or fewer runs in six of their 13 games and have not held a lead since the bottom of the 11th inning of their 1-0 victory over the Rays April 3rd. The Rockies are also a strikeout machine so far in 2019, having struck out 117 times this season. Rockies’ hitters have been sent back to the dugout five or more times in each of the team’s games this season which has resulted in a stagnant offense. Ian Desmond has led the charge for the Rockies offensive woes. The former All-Star is hitting a measly .140 and entered Thursday’s game having struck out in 37.5% of his at-bats. Charlie Blackmon has also struggled both at the plate and in the field this season, hitting just .250. In addition, other regulars in the Rockies’ lineup such as Trevor Story, Chris Iannetta, Tony Wolters, Garrett Hampson and Mark Reynolds are all hitting under .220. 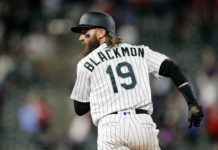 Colorado is dealing with injuries to key players Daniel Murphy, Ryan McMahon and David Dahl; however, the drought of offense is degrading and digging a deep hole the club will need to climb out of, should they desire to make the postseason. Colorado will have reinforcements soon, but the club needs to stay afloat for the time being and remain competitive in the loaded NL. While the Rockies wanted to open up playing time for their young players, the lack of veteran presence and stability is apparent within Colorado’s lineup. 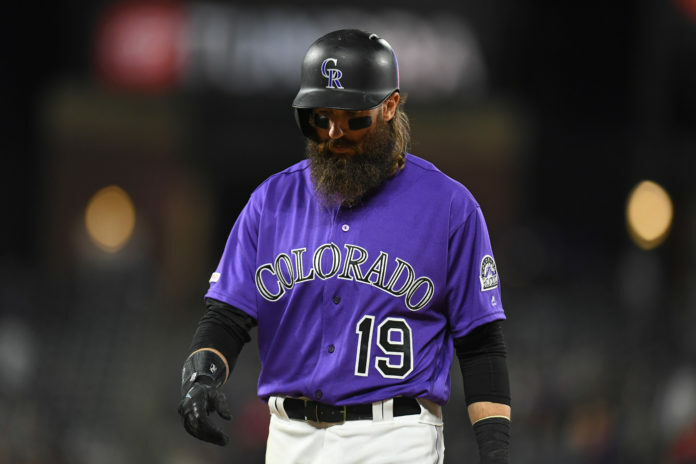 Injuries have also exposed the Rockies lack of depth which has severely hurt their performance in 2019.